Virginia City, Nevada would be settled at the site of what was the single most valuable ore discovery in the West, the Comstock Lode. That event would take place in 1859, however several hundred miners had been placer mining the nearby stream and river valleys, in an area known as Gold Canyon, for ten years prior to the Comstock discovery. It is interesting to ponder the fact that for 10 years miners had been barely scratching out a living with placer operations that had continued to diminish as the 1850’s wore on, while just a few miles away the richest ore discovery in history had numerous outcrops at the surface and was just waiting to be stumbled upon. The 1859 discovery was made by Irish immigrants James McLaughlin and Peter O’Riley, at the location that would later become the town of Gold Hill, just adjacent to Virginia City. Prospector Henry Comstock would attach his name to the discovery by tricking the irishmen into signing part of their claim over to him. Comstock was more of a fast talker and a con artist than a miner or tycoon, yet somehow the name became synonymous with the world’s greatest mining district, and the fantastic discovery would forever be known as the Comstock Lode. The initial discovery was of gold that was worked with the same placer techniques used throughout the western gold regions. The dirt was rich in gold, but also contained heavy blue mud that made separation of the gold difficult. Eventually, an enterprising individual took a sample of the blue mud to Grass Valley, California to be assayed and the results were stunning. The mud assayed at hundreds of dollars of gold and thousands of dollars of silver per ton. Those present at the assay swore each other to secrecy, so naturally it was just a matter of days before word got out and the stampede to the Comstock Lode began. After hundreds of miners arrived at the new district in 1859, two initial communities were formed: Gold Hill at the site of the original discovery, and Virginia City just above that on the slopes of Mount Davidson. Virginia City would grow to be the largest settlement of the district, a rich and diverse city that would rival San Francisco in some aspects. But for all that the city is a wonder of the nineteenth century, for here are handsome brick and hammered or rough hewn stone buildings, great stocks of goods, first rate hotels, some of the most profitable and extensive mining works in the world, and a real line newspaper - the “Enterprise”. The mines of the Comstock made Virginia City a rich frontier town. Despite its remote and difficult location on the side of Mount Davidson, all of the comforts of San Francisco could be acquired at the local businesses, from fresh oysters and fine whiskeys to the latest Paris fashions for women. 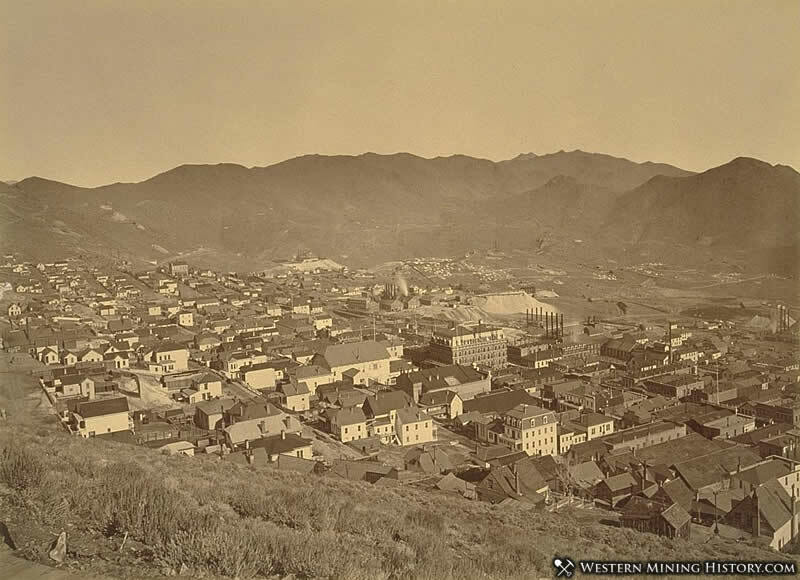 Virginia City was built around, and adjacent to the great mines of the district. The mines operated around the clock and the city never slept. Wagon trains, and later locomotives, arrived regularly day and night laden with supplies for the mines and the town. The non-stop activity at Virginia City gave it a reputation as a wild and boisterous frontier metropolis. During the early 1860s a miner’s wage was 3.50 per day in the mines of the Comstock, one of the highest industrial wages in the world. 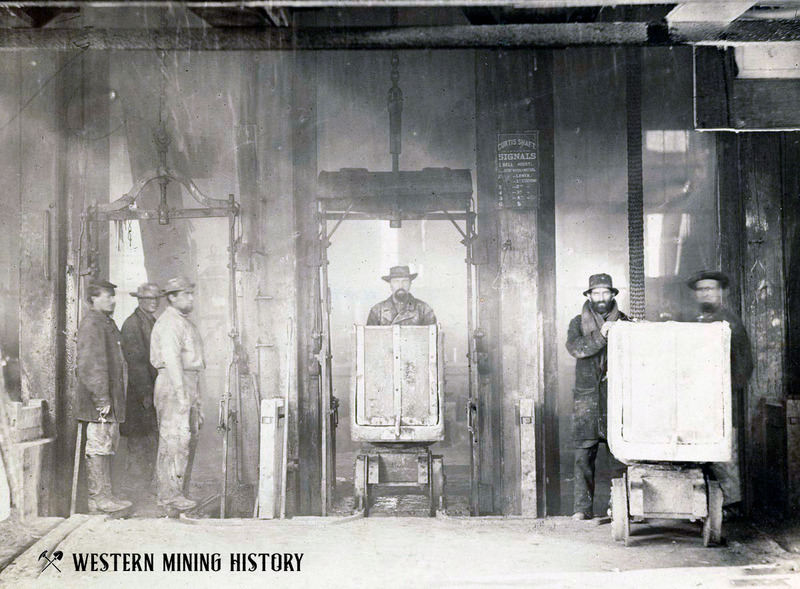 Skilled miners came from all over the world to work at the now famous district. 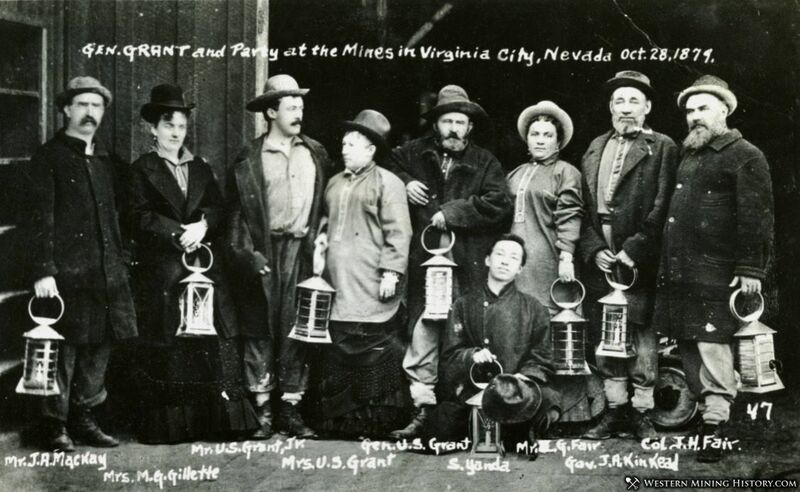 This influx of international labor resulted in Virginia City developing as a cosmopolitan city of many races and nationalities. At its height, Virginia City had over 100 saloons. With so many drinking establishments competing for business, many went to great lengths to differentiate themselves from their competition. Some saloons even had indoor shooting galleries where patrons would shoot at targets on the other end of the building while they enjoyed a few drinks. 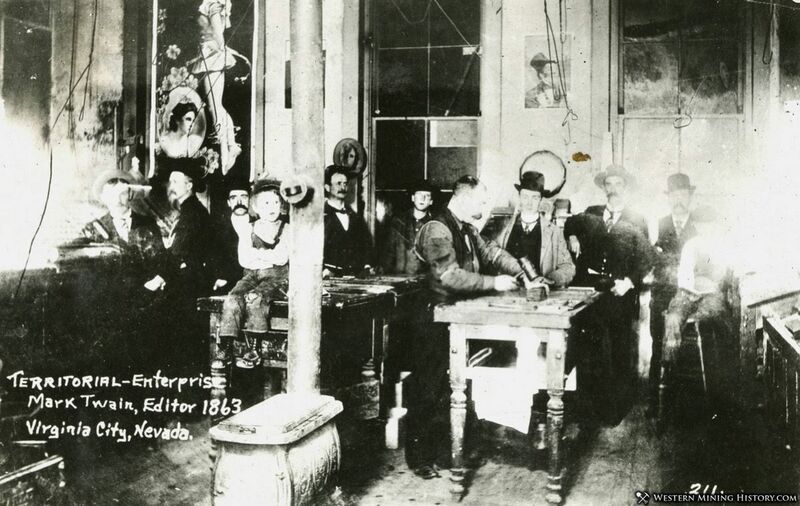 The iconic frontier newspaper “Territorial Enterprise” relocated from Genoa, Nevada to Virginia City in 1860. The newspaper was home to legendary writers as Dan DeQuille, Rollin Daggett, and Mark Twain. Twain, who’s real name was Samuel Clemens, arrived in Virginia City in 1862. While working for the Territorial Enterprise, Clemmens took on the pen name “Mark Twain”. His satirical writing style would make him nationally famous and in 1865 he left Virginia City to pursue his writing career in California. Construction of the Virginia and Truckee Railroad began in 1869. The railroad was a huge boon to the district as the cost of transportation of goods was drastically reduced. The ability to ship large volumes of ore facilitated the construction of many mills miles away at sites with room to grow and better access to water, allowing industry to expand and grow into new areas. Virginia City’s water was notoriously bad, having been sourced from the mines below the city. In the early 1870’s, a system was constructed to transport water from the Sierra Nevada mountains to Virginia City. This water system consisted of over 20 miles of flumes and pipes, and was another major technical innovation to emerge from the Comstock. That water system is still in use today, over 150 years later. In 1875 disaster struck Virginia City. In what would become known as “The Great Fire”, a wind fueled inferno decimated the city, leaving up to 10,000 people homeless. A fire of this magnitude is often the event that signals the end of prosperity for a frontier town, but at the time Virginia City was still booming from the great riches of the “Big Bonanaza” being taken out of the Consolidated Virginia mine. 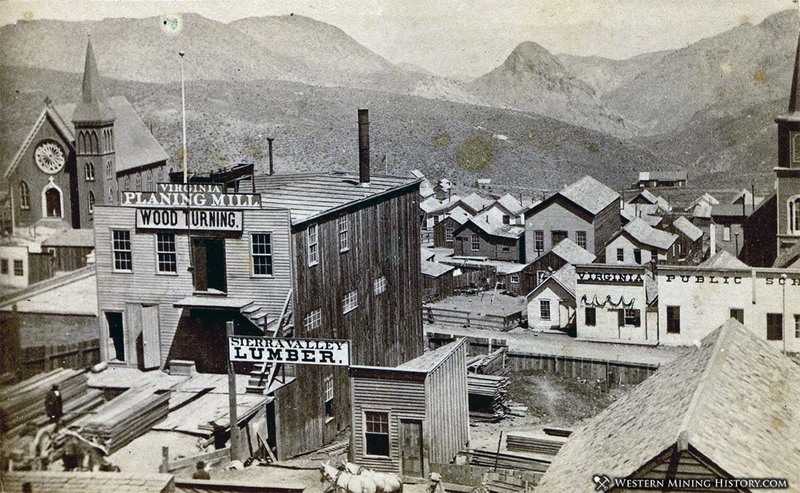 The city was rebuilt with no expense spared, and Virginia City carried on as the World’s most prosperous mining camp. The mines of the Comstock were fading by the late 1870’s which was reflected by the declining population of the area. 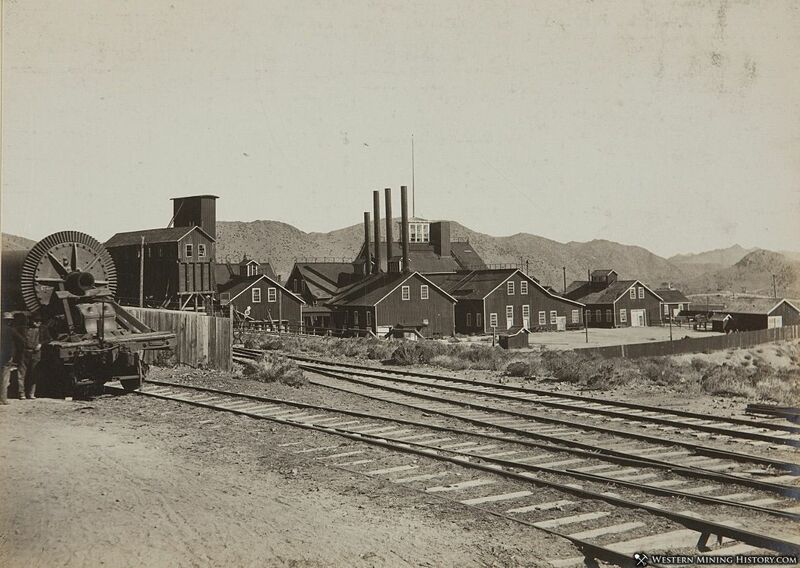 During peak of mining activity in the 1870’s, the district had a population of over 25,000. The 1880 census put that number at just over 16,000, a dramatic reduction. Census records from the following decades would report at 8,806 in 1890, 3,673 in 1900, and by 1930 there were just 667 residents in the entire county. By 1860, placer deposits and surface outcroppings of ore had been mostly exhausted, and the opportunities for individual miners to strike it rich had mostly run out. The comstock deposits were proving to be extensive and deep, and only through organized capital could they be exploited. It wasn’t long before the early claim holders began selling off their claims to newly arrived men that had bigger aspirations than just operating small surface operations. One of these early entrepreneurs was George Hearst, who purchased part of the Gould and Curry mine. The Gould and Curry would prove to be one of the district’s top producers, and proceeds from the mine would launch Hearst’s long and lucrative career. The transformation of the Comstock into an industrial center happened early and at a rapid pace. The ore bodies presented challenges new to the mining industry at the time. The deposits were large, situated in poor, unconsolidated ground, were exceedingly deep and full of scorching hot water and bad air. Numerous technological advances were conceived of and implemented in the Comstock mines, including square-set timbering which would revolutionize how mine stopes were stabilized throughout the world. The difficulty of mining on the Comstock and the related need for technical innovation, complex machinery, and extensive manpower resulted in the transformation of mining from an industry comprised of individual miners and small organizations to an industry dominated by capital. The Bank of California (later to become the Bank of America) would come to dominate the Comstock mining industry, owning most of the mills and many of the mines in the district. The era of big-capital mining got its start in Virginia City, but would dominate the mining industry in the West for decades to come. By 1869 the mines of the Comstock were waning and Virginia City was in the midst of a depression. Many began to wonder if the great riches of the district had finally run out. However, a great discovery would be made that would propel the Comstock Lode into even greater heights of international fame. In 1871, two years into the downturn of mining in the district, partners James Flood, John Mackay, James Fair, and William O'Brien, the men who would become known as the “Bonanza Kings”, began to buy stock in the Consolidated Virginia mine. The Consolidated Virginia company had been organized in 1867, but failed to locate a significant ore body. James Fair was an experienced miner, and he skillfully directed his miners where to dig in pursuit of a promising vein at the 1,200 foot level of the mine. In the Fall of 1873, Fair struck what would become known as the “Big Bonanza”, an ore body so large, and so rich that it would stimulate the entire district and Virginia City for the next ten years. The discovery is said to have resulted in hundreds of millions of dollars in ore production, making the Bonanza Kings some of the world’s richest men. As Virginia City transitioned into the 1900’s mining continued on a very small scale that could only support a population in the hundreds. As the decades advanced, some wondered if the town would be abandoned completely. Fortunately, the transition to a tourist economy would start as early as the 1930’s and Virginia City was saved from extinction. Starting in the 1930’s, Virginia City would capture the attention and imagination of artists, writers, and travelers that were interested in America’s Old West, or were looking for a quiet refuge to conduct their work. Nevada legalized gambling in 1931 which helped get the budding tourist economy off the ground. Just after World War II, Virginia City caught the eye of the wealthy and eccentric socialite Lucius Beebe. Beebe moved from the East Coast to Virginia City and started buying up and rehabilitating numerous buildings. He purchased and revived the Territorial Enterprise in 1952. People around the country started noticing what was happening in Virginia City and an influx of notable authors enhanced the town’s reputation as an artist’s retreat. 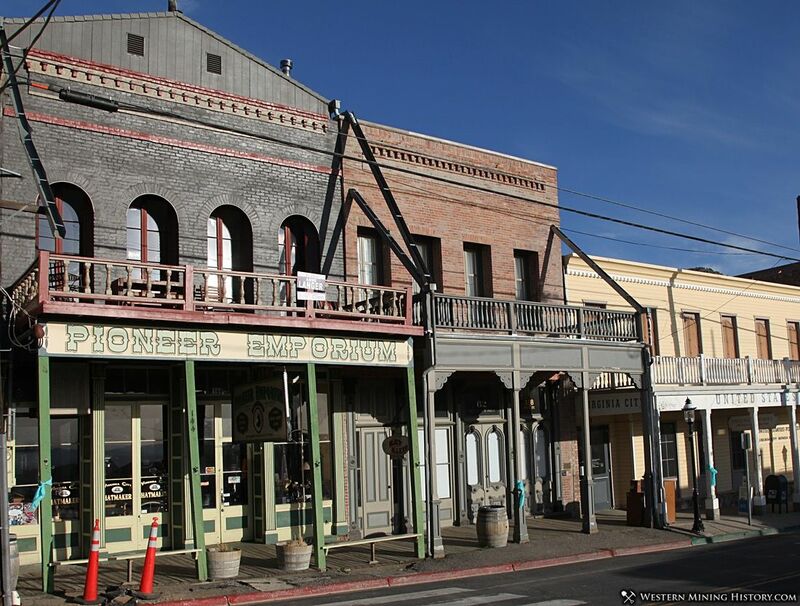 Several movies had been filmed in Virginia City in the 1940’s and 1950’s, which helped fuel the initial transformation of the town into an arts community. However, it was in 1959 that the popular TV show Bonanza, which was set in the Tahoe/Virginia City area, debuted. The show put Virginia City in the national spotlight for years, resulting in a new rush to Virginia City in the form of tourism. 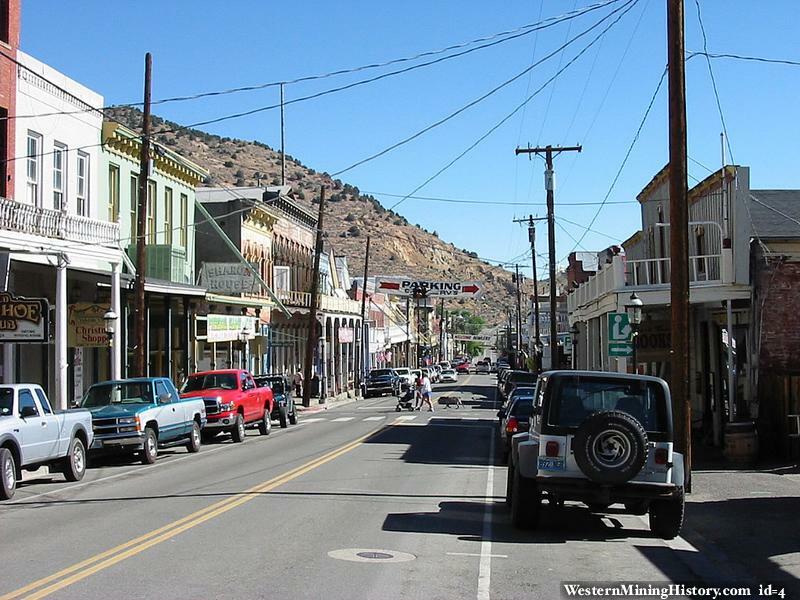 In 1961 Virginia City was designated a National Historic Landmark. The designation stimulated preservation efforts and helped Virginia City retain its 1800’s frontier character. 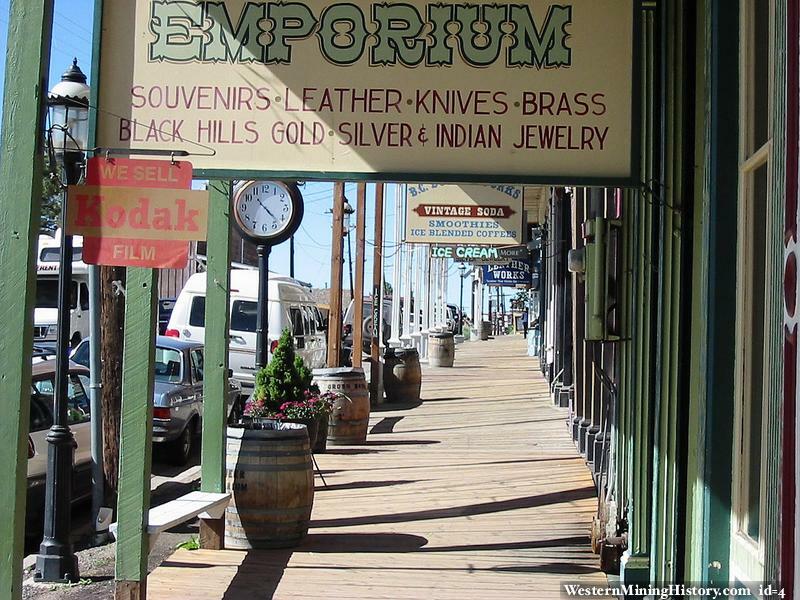 Today Virginia City continues to be a popular tourist destination. It is estimated that over two million people visit the town every year. Be sure to check out our Virginia City, Nevada photo gallery with over 60 photos of this historic mining city. 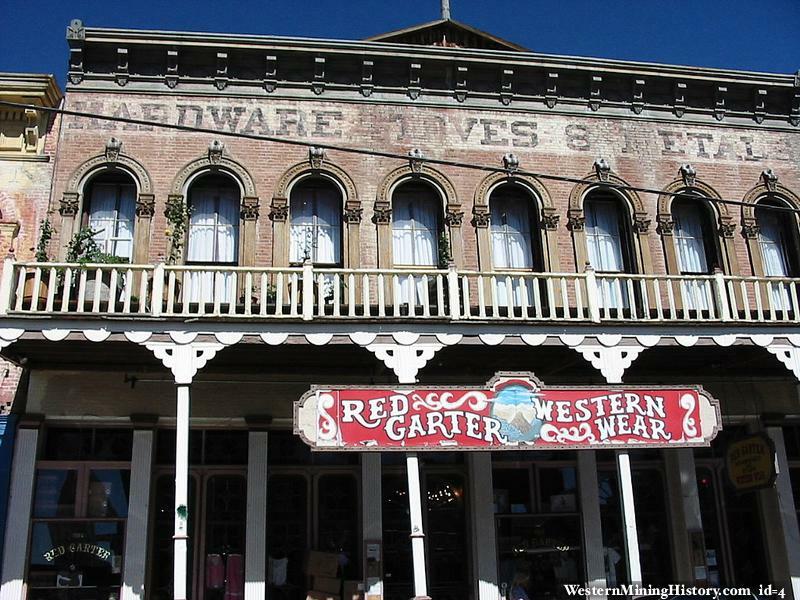 Virginia City has businesses of all types to cater to the crowds: saloons, breweries, casinos, jewelry stores, restaurants, memorabilia shops, and much more. The town also contains many museums and historical markers that preserve the history of one of the World’s greatest mining camps.